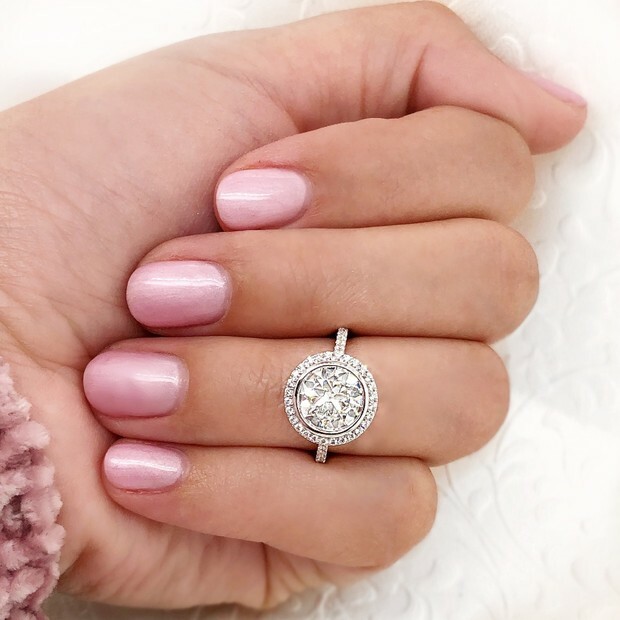 Over the last few months, we’ve been lucky to lust over some new celebrity engagement rings (and their stylish brides-to-be, of course): Jennifer Lopez, Katy Perry, just to name a few. 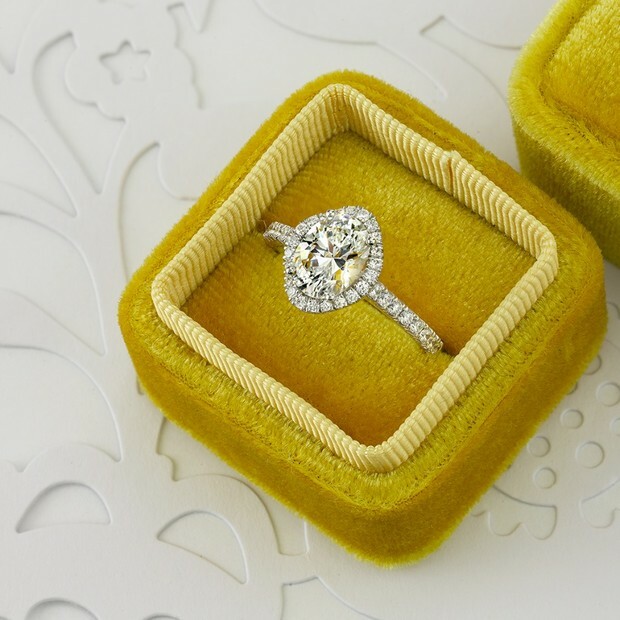 We’ve obsessed over the unique designs of their sparklers and we’ve thought about the soulmate brides who would wish for similar rocks from their respective ride or dies. And we know exactly where their partners should start: The Sylvie Collection. Known for her passion about every ring she comes across, Sylvie gives each one her undivided attention to ensure that every one of her brides is able to have her ring customized to be as unique as she is. Unique as she is, yaaaas that sounds good. The collection is made by a woman, for a woman. What are some Sylvie standards? Well, as a collection that is made by a woman, for a woman, there are some obvious standards that Sylvie and her namesake adhere to. Everything begins with Sylvie’s award-winning design sketches; nothing happens before those sketches are first put through a rigorous rodeo of quality checks and detail inspection and then finally transformed into a CAD image. Using the original drawing, the CAD process creates a digital rendering of the ring - tailored to the bride’s unique finger dimensions. One more round of inspection ensures that the CAD is complete and can be formalized into a physical wax model. Next, the CAD model comes into existence through 3D printing technology, it’s furnished with all of the requested modifications and provides a very real replica of the future ring. It’s at this time that Sylvie does her own diligent spot checking to guarantee the ring measures up to the dream (and doesn’t fall short). Sylvie arms her retailers with incredible insights about emerging trends and industry-disrupting breakthroughs that they can pass along to their own clientele. Innovation and newness always remain priorities. She only uses 100% ethically-sourced stones, and their conflict-free diamonds are of the highest quality possible. No matter what their budgets, couples shopping with Sylvie can be sure they’ll find a ring (or rings) to fit their price point. With over 2,000 styles to choose from, there’s a ring to match even the smallest of budgets. Oh! And once the ring is on a bride-to-be’s finger, there’s no way she’ll be returning it for faultiness. Each stone in a Sylvie ring is set by hand and secured by four durable prongs: that means NO stone will fall. There’s a reason why this brand has a ton of celebrity followers to its name. Jennifer Lopez, Nina Dobrev, Kesha, Ariana Grande, Gwen Stefani, Kelsea Ballerini and so many more of Hollywood’s hottest are forever fans. With over 2,000 engagement ring styles (each with a matching band) and 100 stackable diamond bands - in white, rose, yellow gold or platinum, the opportunities to have a stunning ring party on that finger are endless. We love how versatile and mix-and-matchable the diamond bands are, you can seriously come up with countless combinations of wear. But we’re even more amped about the mixed-metal engagement rings themselves!! You don’t see too many mixed-metal e-rings, and the looks are INCREDIBLE! 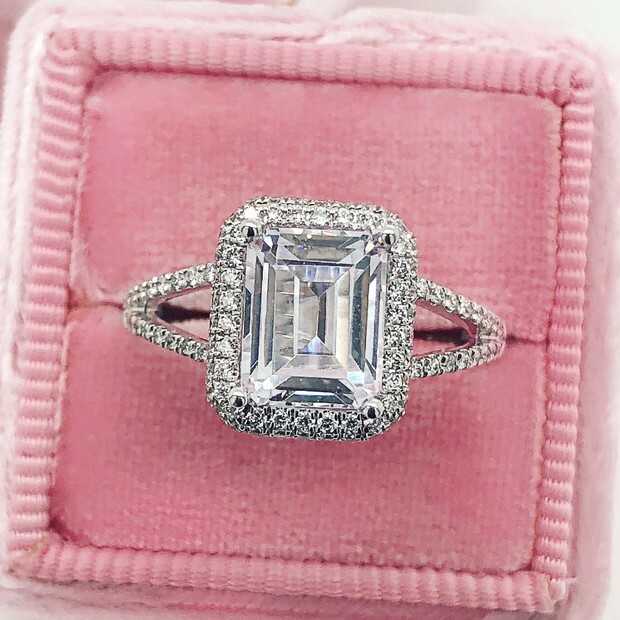 From emerald engagement rings☝️that have us wondering whether J.Lo started the emerald shape trend herself, to floral-inspired engagement rings that remind us of what Katy Perry is wearing on her ring finger, there’s nowhere else you can find engagement rings that are on-trend, yet perfectly personal at the same time. Find a store today, if you’re ready to go with #somethingsylvie. 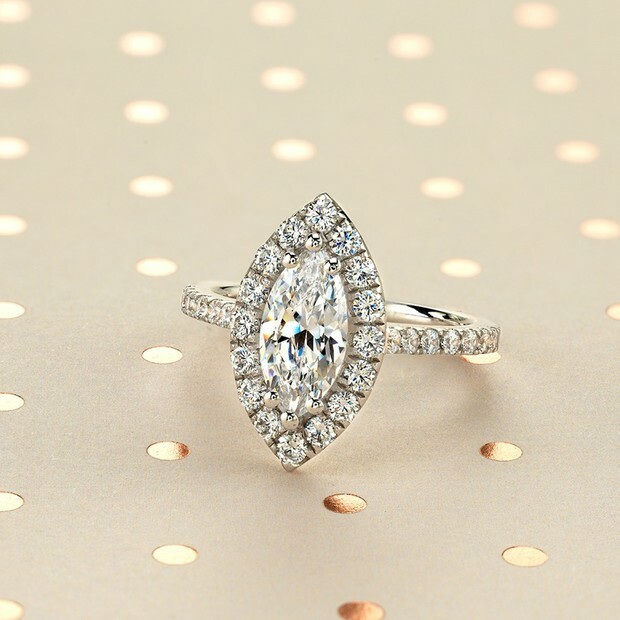 We partnered with Sylvie Collection to bring you all the details on their love story beginning, stunning standards, and even more sensational rings. As always, thank you for supporting our sponsors!